Air Corps Fleet - Pilatus PC-9M - Bray Air Display 2010, originally uploaded by infomatique. 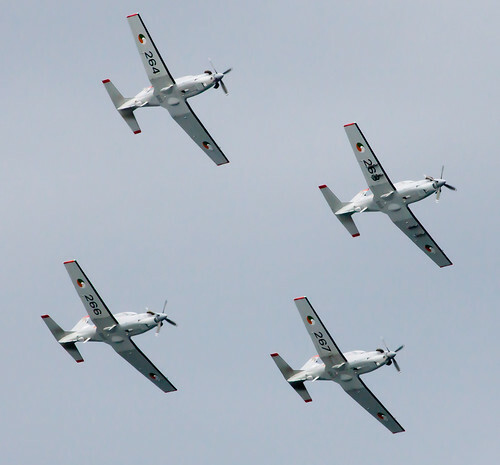 The Irish Air Corps operates 7 PC-9Ms delivered in late-2004. In 2005 planes were upgraded and each aircraft is now equipped with 2x rocket pods and 2x machine gun pods. On 12 October 2009 a PC-9M was involved in a fatal crash near Cornamona, in County Galway, which killed both pilots.